Maternity Photography when you're pregnant and feeling the hugest you've ever been sounds about as fun as labor doesn't it? No one likes having their photo taken but everyone loves having the end result to hang on the wall. Whether this is your first, second or final pregnancy, it's nice to have beautiful maternity photos to remember your pregnancy by, even nicer to show your children in years to come. Memories are intimate and only you can decide how you'd like your pregnancy photography portraits captured to remember your journey from from bump to baby - it's our job to help you do that in way that is meaningful to you. 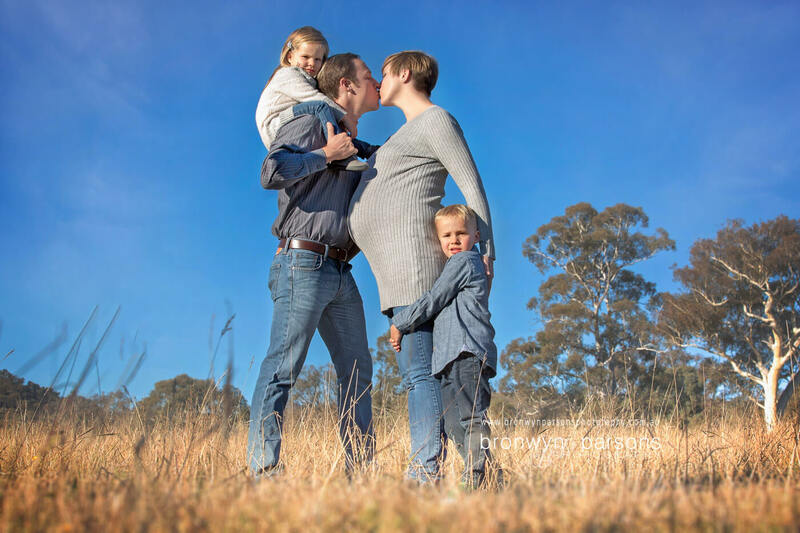 Your maternity photography can be done by yourself, with your partner or with your children as well. Maternity photos are a great excuse to get some family photography in as well. We can make it as casual or as glamorous as you like. If posing isn't your thing and you enjoy a good laugh (so do we) we can inject some creativity and humor into your pregnancy photography and capture your journey from a storytelling perspective. You're welcome to wear whatever makes you feel comfortable or choose from our small collection of maternity photography gowns to compliment your baby bump. If you'd like the option of choosing your own gown, the fabulous team at Mama Rentals have beautiful gowns available to hire and as a bonus I'll let them know your my client and you'll receive a special discount! As part of our pre-session services, we provide a maternity session guide to help you style other members of the family as well as yourself. It has loads of tips in there to have you looking your best no matter what your body shape is. A pre-session phone consultation takes place before your Maternity Session so that we can go over the finer details before your maternity photography shoot. 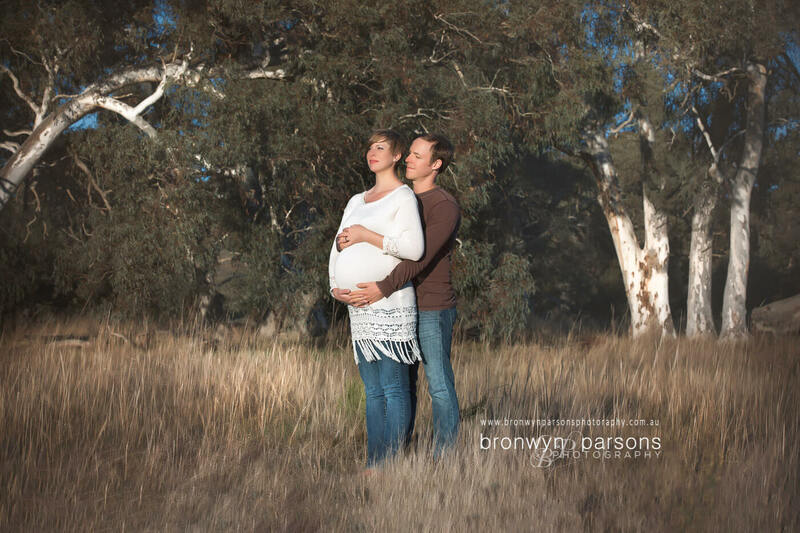 Maternity photography sessions are held outdoors in one of the many beautiful locations around Canberra. Smaller maternity milk bath sessions and couples studio maternity sessions are also available on request. On booking with us, you'll receive exclusive client information detailing a number of locations for you to choose from. We photograph all outdoor sessions in the best natural light conditions occurring in the first two hours after sunrise and the last two hours before sunset. We recommend securing your maternity photos at the end of your first trimester. Maternity photography is best scheduled between 32 - 36 weeks when your baby bump is gloriously round and high. Do you offer combined maternity and newborn sessions? Yes we offer a bump to baby package which presents a saving of $50 if combining both sessions. Our first step is to talk to you. During your pre-session phone consultation we aim to find out what type of maternity photos you'd like. We find out how you and your partner met, what adventures you've shared and incorporate the love you share and your lifestyle you lead into the session. We will also have an open and honest discussion about any personal insecurities you may have with your changing body so that we may capture you in the best way possible. We'll chat about what you'd like to wear for your maternity photography and recommend what will compliment your chosen location, decor in your home, lifestyle and style of session. Maternity Session Fee: $100. The session fee is payment for the photographer’s time in undertaking work that happens before your session and during the session itself. It does not include any digital or printed products. Bump to Baby Session Fee: $200 The session fee is payment for the photographer’s time in undertaking work that happens before your session and during the session itself. It does not include any digital or printed products. Examples of our work can be found under the maternity section in our portfolio or on our Facebook page where we post sneak peeks as we are editing client sessions. Our Facebook page is a lovely welcoming community of Canberra parents.